Explodes with your family favorite cookies. 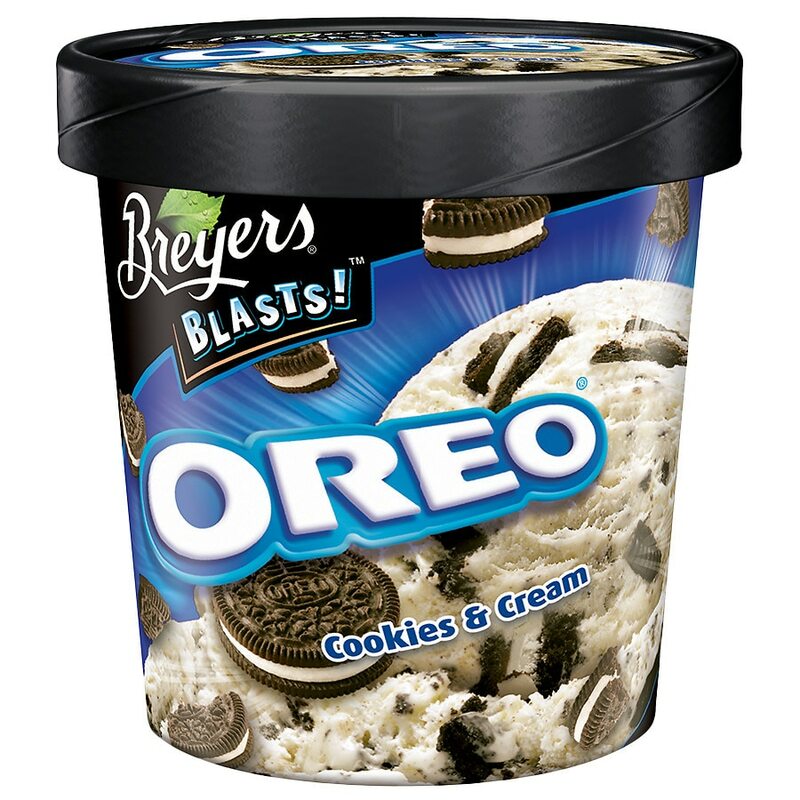 Oreo cookie pieces in vanilla flavored frozen dairy dessert with other natural flavors. 0 g trans fat.